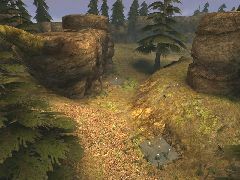 This is my first UT2003 map for online play. It resembles the map Antalus very much, posseses pools and many tress. It's an effect laiden, high-polygon map, so you will most likely need a 1Ghz processor to move around in the map well. Feedback is welcome!